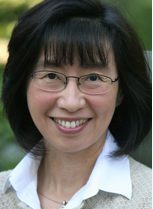 The GSA Board of Directors is pleased to announce that Jeannie T. Lee (HHMI/Harvard University/Massachusetts General Hospital) has been appointed GSA Vice-President. Last year, Barbara J. Meyer (HHMI/University of California, Berkeley) was elected the 2017 Vice-President and 2018 President of the GSA Board of Directors. Unfortunately, Meyer will no longer be able to take on these roles. She wishes to convey her regret to the GSA and its members. In accordance with the GSA’s bylaws, the Board of Directors voted unanimously to appoint Lee to the Board, and then voted unanimously to appoint her Vice President. Lee has ample experience leading the GSA. She served on the Board of Directors from 2011-2013 and was co-chair of The Allied Genetics Conference, helping orchestrate the success of the GSA’s new meeting experiment. In her election candidacy statement, Lee wrote: “We live in an exciting time for Genetics research. Although our discipline dates back more than 150 years and has enjoyed a long, illustrious history, I believe that the best is yet to come.” She sees increasing specialization and isolation of model organism communities as a challenge for successfully communicating the value of such research in a time of federal budget constraints and policy uncertainty. Lee is a Professor of Genetics at Harvard Medical School and the Massachusetts General Hospital (MGH), and Investigator of the Howard Hughes Medical Institute, and Co-Director of the Harvard Epigenetics Initiative. She leads a research group that studies epigenetic regulation by long noncoding RNAs (lncRNA), primarily in mouse. They examine RNA function and mechanism through the lens of X-chromosome inactivation and imprinting, two classic epigenetic phenomena in which some of the first mammalian lncRNAs were discovered. Her work has been honored by the GSA’s GENETICS Centennial Award (Molecular Genetics), for an outstanding article published in 2016, The Lurie Prize, election to the National Academy of Sciences, a Distinguished Graduate Award from the University of Pennsylvania School of Medicine, an NIH MERIT Award, The Molecular Biology Prize from the National Academy of Sciences, election as a Fellow of the American Association for the Advancement of Science, a Pew Scholars Award, a Basil O’Connor Scholar Award, and she was a Chief Resident in Clinical Pathology at MGH.